THE INSIDE STORI - BY MARY STORI: AHHHH....I'M BACK AT MY MACHINE!! There's nothing like learning one of your quilts has sold to get one running back to the sewing machine!! It's such a validation of one's work. 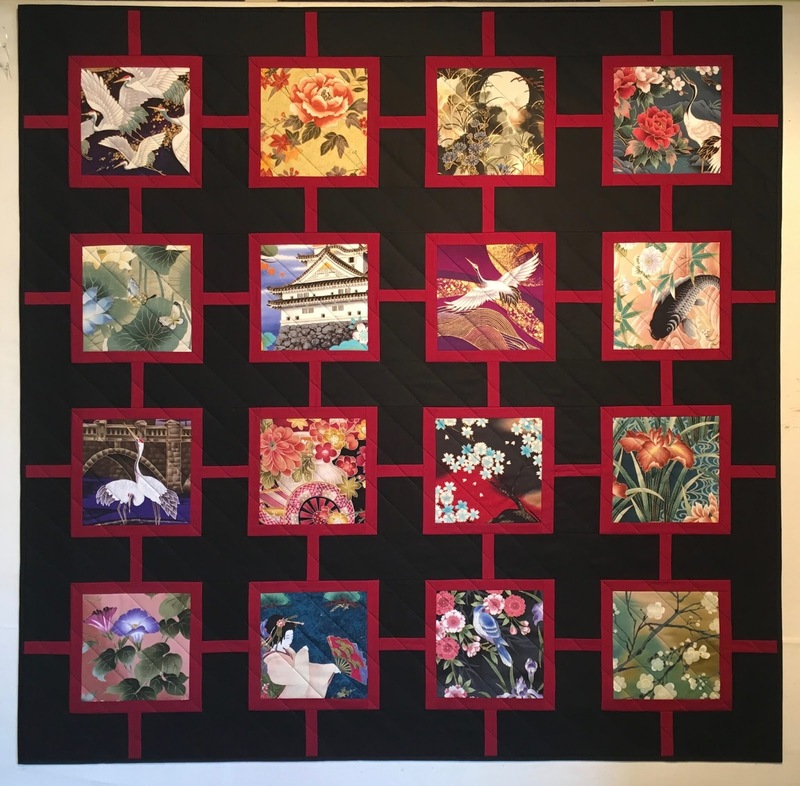 So as I say goodbye to this piece that had been on display at Woolworth Walk in downtown Asheville....I'm pulling out my Japanese style fabrics to create another of the same theme which has proved popular to shoppers. First comes finding compatible large scale prints that lend themselves to graphic 12" blocks. Next comes making two slices in each block and inserting black strips and squares at alternating positions. 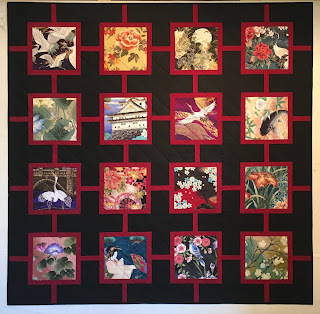 As you can see, I'm working these one block at a time.....there were days gone by when I could actually remember various steps more than 5 mins., but as long as I can still remember to thread my sewing machine, I'll still be making quilts!! Wooo hooo! Sewing again! And that Japanese fabric is doing well for you. You gom girl!